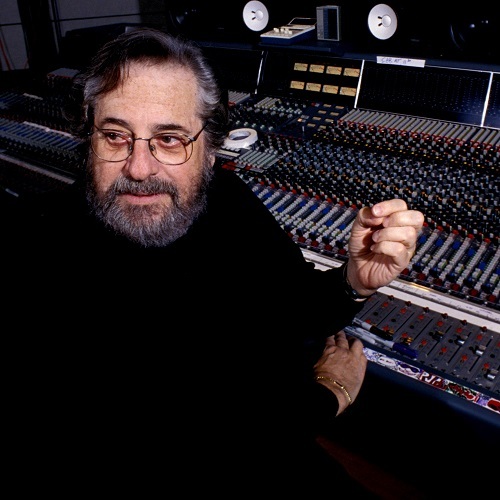 With 33 Grammy nominations, 14 Grammy Awards, including a Technical Grammy for his lifetime of innovative contributions to the recording industry, an Emmy, and numerous honors and accolades to his credit, Phil Ramone's musical acumen and his use of audio technology are unmatched among his peers. Philip "Phil" Ramone (January 5, 1934 – March 30, 2013) was an American recording engineer, record producer, violinist and composer, who in 1958 co-founded A & R Recording, Inc., a recording studio at 112 West 48th Street, New York, above was what then was Manny's Music. The success of that studio caused it to grow into several studios and a record producing company. He was described by Billboard as "legendary", and the BBC as a "CD pioneer". In 1959, Ramone established an independent recording studio A & R Recording (the initials were derived from the last initials of Ramone and his then-business partner Jack Arnold). Later the partnership which owned the studio consisted of Brooks Arthur owning half while Ramone, Don Frey, and Arthur Downs Ward owned the other half. In the studio he quickly gained a reputation as a good sound engineer and music producer, in particular for his use of innovative technology. Among those whose music he has produced are Clay Aiken, Burt Bacharach, The Band, Bono, Laura Branigan, Ray Charles, Karen Carpenter, Chicago, Peter Cincotti, Natalie Cole, Bob Dylan, Sheena Easton, Melissa Errico, Gloria Estefan, Aretha Franklin, Billy Joel, Elton John, Quincy Jones, Patricia Kaas, B.B. King, Julian Lennon, Shelby Lynne, Madonna, Barry Manilow, Richard Marx, Paul McCartney, George Michael, Liza Minnelli, Anne Murray, Olivia Newton-John, Sinéad O'Connor, Fito Páez, Luciano Pavarotti and on Pavarotti and Friends Charity Concerts in Modena Italy, Peter, Paul and Mary, André Previn, Diane Schuur, Carly Simon, Paul Simon, Frank Sinatra, Rod Stewart, James Taylor, The Guess Who, Dionne Warwick, Stevie Wonder and Nikki Yanofsky. He is also credited with recording Marilyn Monroe's intoxicated version of "Happy Birthday to You" to President John F. Kennedy. 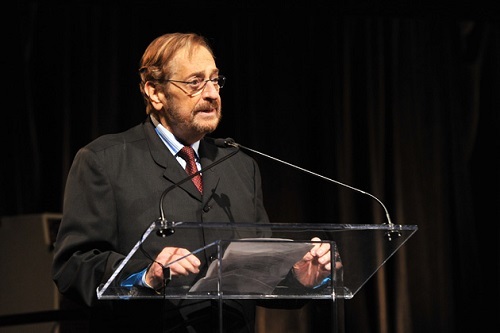 Phil Ramone during a lecture. Photo courtesy of Ultimate Classic Rock. His early work in producing and engineering was with jazz artists, working on John Coltrane records and acting as engineer for the landmark Getz/Gilberto album in 1964, for which he won his first Grammy. He transitioned during the 1960s to working with folk-rock, pop-rock, and R&B acts such as Peter, Paul and Mary, James Taylor, Aretha Franklin, and Bob Dylan, first primarily as an engineer, and later as a producer. He won his first production Grammy for his work on 1975's Still Crazy After All These Years by Paul Simon. His breakthrough album became Billy Joel's 1977 album The Stranger and began a fruitful collaboration that would lead to Ramone producing a string of hit Joel albums throughout the rest of the 1970s and 1980s. In 1993, he produced Duets, Frank Sinatra's comeback album, a commercial hit that peaked at #2 on the Billboard Album Chart. During the rest of the 1990s, Ramone moved from production work to his primary role as an industry executive, serving as chairman of The Recording Academy, though he would still be involved in some studio work including several Broadway cast recordings, as well as helping produce, with Quincy Jones, the televised A Tribute to Brian Wilsonin 2001. Dana N. Dowd, Phil Ramone and Cheryl Dowd. Photo courtesy of Dana N. Dowd. He was a founding member of META (the Music & Engineering Technology Alliance). October 1, 2012, marked the thirtieth anniversary of the world's first commercially marketed compact disc. On that date in 1982, A & R Recording released a digital compact disc version of Billy Joel's 52nd Street in Japan, alongside Sony's CD player CDP-101. Ramone introduced optical surround sound for movies. His book, Making Records: The Scenes Behind the Music, written with Chuck Granata, was released on October 9, 2007. Also in October 2007, Ramone produced a limited engagement performance of Richard Vetere's Be My Love: The Mario Lanza Story. The play was directed by Charles Messina and co-produced by Sonny Grosso. It premiered at The Tilles Center in Greenvale, New York. 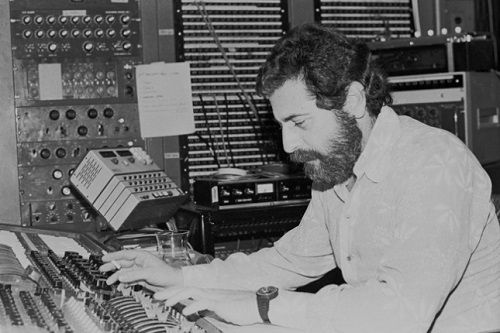 Phil Ramone deep into a mix. Photo courtesy of Billboard. In addition to producing music, Ramone has numerous concert, film, Broadway and television productions to his credit that include “A Star is Born”, “August Rush”, “Beyond the Sea”, “Flashdance”, “Ghostbusters”, “Midnight Cowboy”, “On Her Majesty's Secret Service”, “Passion”, “Seussical”, “Simon and Garfunkel: The Concert In Central Park”, Songwriters Hall of Fame Awards, “The Score”, VH1/BBC “Party at the Palace: Queen’s Jubilee Concert”, and “The Good Thief”. Phil Ramone, hard at work. Photo courtesy of NPR. On July 8, 2008, Columbia records released The Stranger 30th Anniversary, which features interviews with Ramone. This box set includes a remastered version of the 1977 Billy Joel album, The Stranger by Ramone. The following summer, Ramone produced Gershwin Across America, a tribute album to the music of George and Ira Gershwin. The album features Jewel, Jason Mraz, Darius Rucker, and Paul Simon among others. In 2011, Ramone worked with George Michael, during his 2011 Symphonica Tour. Foundational text courtesy of Wikipedia and Karen, Matt, Simon, & BJ of PhilRamone.com . 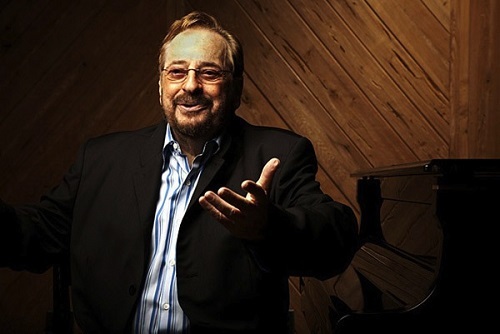 Do you have content or pictures, to add, of Phil Ramone? Do you just want to say "Hello!"? Please feel free to Share it, here!